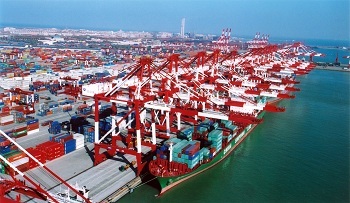 Since the economic crisis of 2008, the responsibility for the challenging environment in the logistics service sector has primarily been attributed to a weakened global economy, shipping overcapacity and the lack of regulations. However, the true challenge for the world's oldest service sector might come from a completely different direction: E-retail. Within the last 12 months, the freight forwarding industry has been the stage for some major mergers and acquisitions. DSV acquired UTI, increasing its presence in North America and Africa. SDV and Bollore Africa globally merged as one Bollore Group. Japan Post entered the forwarding industry by acquiring Toll Group and is expected to take over DHL Global Forwarding in the near future. Meanwhile, DHL's forwarding arm is losing market share to runner-ups DB Schenker and Kuehne-Nagel. While the "big 10" are becoming bigger and fighting back for market share, the small- and medium-sized players swear by their flexibility, cost control and customer service. Only time will tell which strategy is superior: Bigger is better or less is more. Freight rates remain low due to a continuing shipping overcapacity and record low commodity prices. Meanwhile, shipping alliances strengthen their market power by increasing their direct sales activities: selling to cargo-owners directly without the mediation of a forwarding agency. These tough circumstances have motivated many traditional forwarders to invest in new sectors such as ecommerce and warehousing. This, in turn, quickly leads to overcapacity in these other sectors too. While the forwarding industry is somehow blindsighted by the smoke it creates internally, the biggest threat for the $350 billion industry might actually come from the outside. Amazon, the world's largest retailer and a frontrunner in IT, already provides warehousing services. The retailer also owns drones. At the end of 2015, Amazon started negotiations with Boeing to lease jets in order to start its own air-cargo services. Early 2016 Amazon China has been registered as an ocean freight forwarder, enabling the retail-giant to directly ship from China, still the world's largest exporter of manufactured goods. In April 2016, rumours were spread that Amazon will invest in buying its very own container ships. This, it is said, is the company's final step in its strategy to become the world's first retail oligopoly. Amazon will significantly benefit from its economy of scale. The company's state of the art technology, including drones, is likely to lead to a much more streamlined and cost saving logistics process. Alibaba, Amazon's main competitor, is bound to go a similar way. Alibaba Logistics has already established an advanced hierarchical network within China, using a number of closely controlled partners. In line with its international ambitions, the Chinese retailer is increasingly investing in the development of a global supply chain. For instance, last year the company invested an additional $138 million in SingPost, increasing its stake in Singapore's national postal and logistics company to 14.51 percent. It might take another decade, but Amazon's "own-all" and Alibaba's "control-all" global supply chain strategies will inevitably transform the logistics industry as we know it today. Besides a fast increase of competition, the two companies will bring in valuable knowledge of information technology, something that will have a significant impact on the traditionally "people-driven" industry. In the long-term, the recent flow of M&As in the forwarding industry might turn out to be a first attempt to weapon against the tech-savvy newcomers by combining years of logistics experience and knowledge. Ever since the Chinese kings and Roman emperors moved their armies around the globe, logistics has been a pure people-business. So far the sector has been relatively resistant towards the introduction of information technology. But E-retail is likely to enter the freight forwarding industry on a big scale in the foreseeable future, the consequences for the sector's traditional labour market should not be underestimated. For instance, imagine a drone delivering cargo directly from the ship to the buyer, without the need for offloading and domestic trucking. While the current discussion centers primarily on diminishing profit rates and rising labor costs, the logistics service sector might actually have a bigger fish to catch. The author is a partner and leader of RMG Selection's Logistics and Supply-Chain group in greater China which provides recruitment and human resource services to the freight forwarding and logistics industries as well as recruiting in-house supply chain roles.